Within a banking company I got the question if it is possible to cancel the daily schedule reboot. Sometimes employees need to work during the scheduled reboot. So they want the ability to cancel this reboot. To understand how the Citrix Scheduled Reboot was working I went online and found a very good blog post at the Citrix website. Reboot Schedule Internals This post Andrew Ogle explains how these schedules operate in the 7.x products. This was a real eye opener. However this post was not explaining on how to cancel a Citrix Scheduled Reboot Cycle. 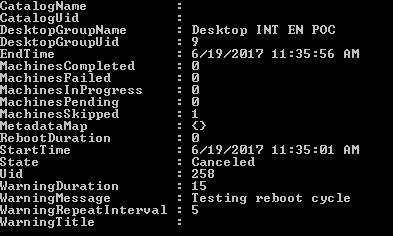 So in this post I will explain how to cancel an active schedule reboot cycle. PowerShell can be easily started via the server startmenu. However then you will need to load the Citrix PowerShell modules. Another easy way is to start PowerShell via the Citrix Studio. In the Studio you select the Site name. Click on the tab PowerShell. At the bottom you will find a button Launch PowerShell. A console is started and all the Citrix PowerShell modules that are installed are loaded. To determine which reboot cycle is running (active) we can use the commandGet-BrokerRebootCycle. This however will show all the reboot cycles of all the desktop groups with all statuses and could be a big list. The reboot cycle has a number of statuses. 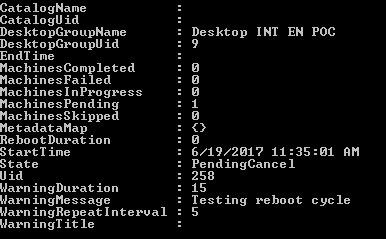 Valid statuses of a reboot cycle are Initializing, Active, Completed, Canceled, and Abandoned. To get the desktop group in the state active we use the command:get-BrokerRebootCycle -State Active. 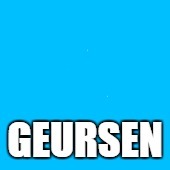 This will show all desktop groups of which the reboot cycle is in an active state. This could still be a big list in large environments. So to specify even further we could also use the desktop group name: Get-BrokerRebootCycle -DesktopGroupName "Desktop INT EN POC" -State Active. To cancel a reboot cycle we can use the command:Stop-BrokerRebootCycle. However we still need to give in which cycle we need to cancel. The easiest way to do that is to combine the two command Get-BrokerRebootCycle -DesktopGroupName "Desktop INT EN POC" -State Active and Stop-BrokerRebootCycle. Combine command line looks like this: Get-BrokerRebootCycle -DesktopGroupName "Desktop INT EN POC" -State Active | Stop-BrokerRebootCycle. The reboot cycle is being canceled. When completing the cancellation the status changes to canceled. This way you will be able to stop a scheduled reboot when the reboot cycle is active. The schedule will be postponed until the next scheduled reboot. Please leave a comment if you find this helpful or when you have any questions.